The pest control industry has seen a massive advancement in monitoring and baiting techniques over the last few decades. However a lot of warehouses have not kept their pest control procedures up to this rapid pace. With the Montreal Protocol restricting the use of Methyl Bromide most businesses have turned to an integrative pest control plan that prevents as well as erradicates pests as opposed to the old reactionary model of waiting until pests arrived and then exterminating them. In this blog we provide an overview of the risks of operating a warehouse without a pest control plan and a simple guideline for a typical pest control procedure. The risks listed above can have serious implications for your business. As such you need to create and maintain a pest control plan that mitigate these risks. As mentioned earlier, pest control used to revolve around a reactionary approach. This newer approach is more proactive and therefore, more effective in protecting your warehouse. This integrative method involves chemical and physical control methods, inspections and monitoring, habitat management, good building design, strong maintenance and exclusion practices. 1. Description of the pest problem and your options for controlling it. You need a summary of the current situation; this should include a description of the target pest(s) and a site plan indicating the areas of concern. It may be that you cannot accurately identify the pests or the exact areas of concern in which case you may need to proceed to step 2 straight away. When identfying your potential pest problem you must examine more than just the presence of pests on your premises. Also look at, the past history of the site, the potential for infestation (e.g. layout, construction, product), the condition of neighbouring properties and their attraction of pests. You should also consider the location of your facility, is it near a body of water, railway or amenities site? The location of the facility will moderate the attraction of pests considerably, and your procedure will need to account for that. Next you need to choose whether you are going to hire a contractor or run the pest control in-house. A contractor will probably be more experienced and up to date with the latest control methods. However an in-house solution may still have sufficient skill and also have the advantage of being familiar with the facility and its history. Either way you will need to choose someone who is competent in the area. You should also make sure your employees are versed in pest identification and the importance of prevention so they understand their role in the operation of the warehouse. Now you need to consider what steps will be taken to eradicate the pest. Will it be by poison, trapping or another method? When will each action take place? All of this should be documented for long-term records and to establish a timeframe which the rest of your operations can continue to fuction around. Next you will have to outline any effects the chosen procedure is going to have on employees, the consumer, and any other people involved. You should also consider the effect the product will have on the environment and surrounding ecosystem. 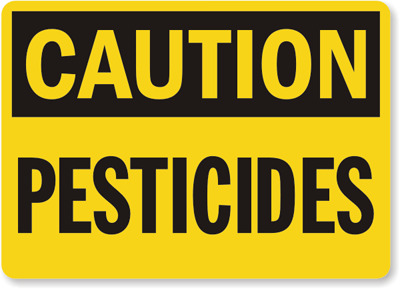 Now you need to restrict access to the concerned areas and ensure it is people-free during pesticide application. If the procedure only involves traps, make sure they are out of heavy human traffic areas and that all people working in the area are informed of their locations. Once the procedure is complete you need to confirm that the area is safe before re-entry. As evidence of compliance to any third party auditors who may inspect your premises. Along with the log you should also include a book to use for reporting pest sightings in the building. Details such as the name of the person making the report, location of the pest, type of pest, date and time must be recorded. Employees should be able to report and record any pest appearances throughout the facility. The main reason for these records is to keep a clean and hygeinic work envrionment. Additionally, records will aslo help you remain compliant with the law, ensure the effectiveness of your procedure, keep staff confident in their workplace and maintain your building at its peak condition. In addition to this procedure, building design and physical barriers are crucial in preventing pest infestation. We’ve created a shortlist of important physical barriers you should consider when examining your premises for pest control purposes. Self-closing doors that show no light between the door seal and the jamb. The major entry door should have an ante-room which serves as a buffer and control zone for any pests that do breach the initial barrier. 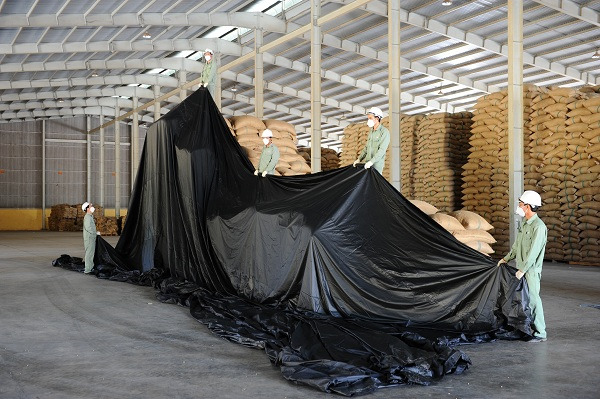 Positive pressure should also be maintained in processing and production areas. This provides a constantly outward moving air barrier to any flying insects and dust. Amenities should be connected to any production or processing areas with adequate fly-screens in the passage. Air curtains should be installed at external doorways and should have the capacity to move air across the entire doorway at 6m/s or faster. It is also important to check any ventilation systems or other ducts for pest ingress. Those are just some of the physical barriers that you should either already have or be considering installing at your facility and when matched with an airtight pest control procedure should make your facility largely pest free. If you would like to read more about pest control have a look at our popular post on rodent control by clicking here. Or if you would like to know how to stregthen your contamination policy please download our free eBook by clicking on the link below.